The Confederation of Real Estate Developers’ Associations of India (CREDAI) the apex body for private real estate developers in India expressed their happiness over the unexpected but long awaited move by RBI to reduce the repo rates by 25 bps ahead of the 6th Bimonthly policy rate review on February 2015. 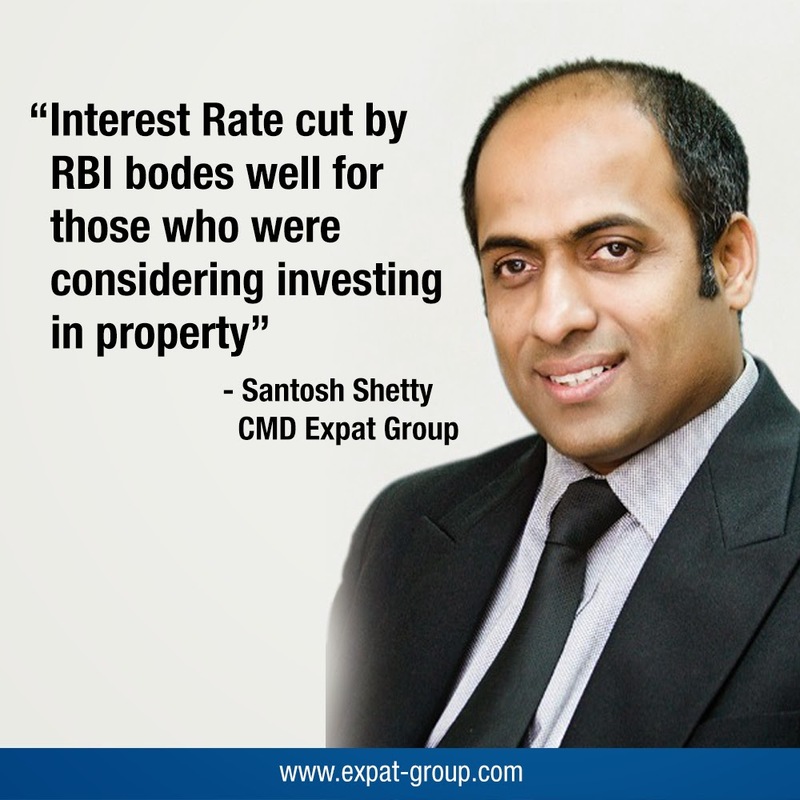 Santosh Shetty, Chairman and Managing Director, Expat Group, says, “The interest rate cut is a positive step by the RBI. The benefit of this move will take some time to filter down to the real estate sector, but it bodes well for those who were considering investing in property as they can expect to reach decision on it soon. Now is the time to narrow down their property investment options as there is a hint of further cuts in the future and all in all it promises an optimistic outlook for the rest of 2015."